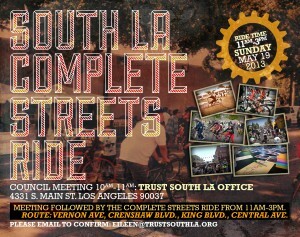 » Complete Streets Ride: Crenshaw, King, Vernon, Central Ride South L.A.
INFORMATION: The COMPLETE STREETS RIDE is from 11AM-3PM. 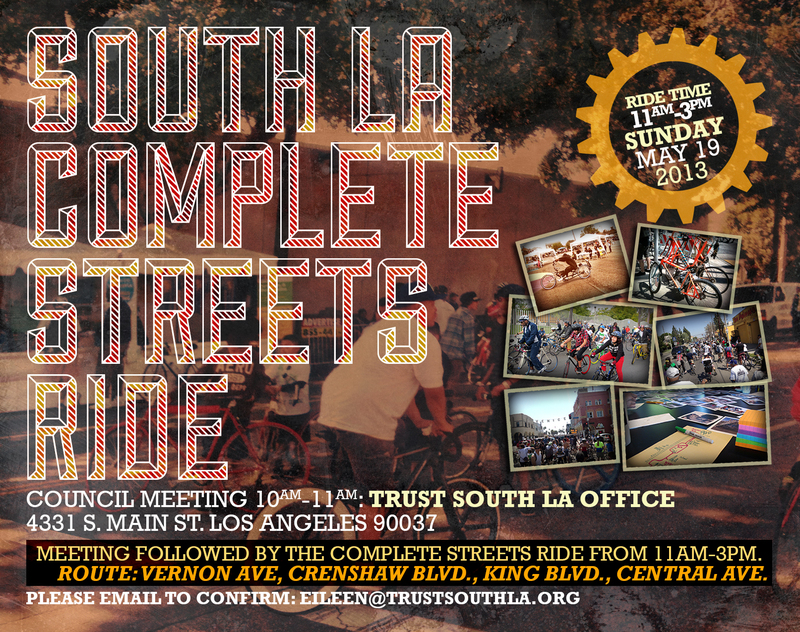 Our ride will focus on the corridors along MLK Blvd, Crenshaw Blvd, Vernon Ave, and Central Ave. We will study these corridors to better envision what complete streets development can look like. DETAILS: For more details visit out Facebook event page here! KNOW ANY JOURNALIST? : Invite the press and community correspondents to the event. WHO IS WELCOME? : We welcome everyone including children to join us on this ride! STAY CONNECTED: Sign up to be notified for future events here!